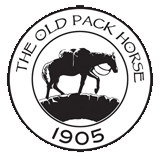 Find out what's on at The Old Pack Horse. Musical acts on rotation the first Tuesday of every month in the Millionaires Bar. Weekly pub tab prises of £40 to be won and random cash total prises up for grabs too. Open Mic Night at the Old Pack Horse! Chiswick's Premier Late Night Music Venue.